Your databases, newsletter subscription lists, directories and similar email lists require maintenance to ensure they remain accurate and up to date. Our online email cleansing portal gives you full control to check your email lists as and when you require. 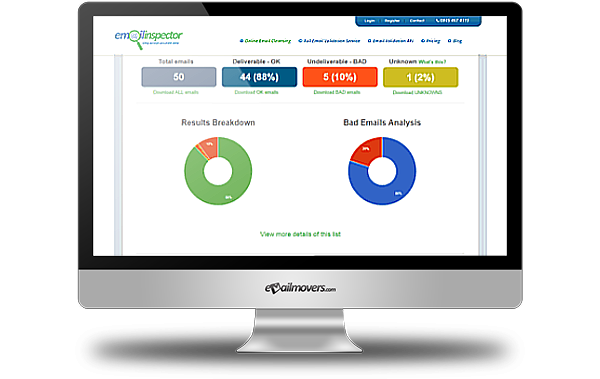 We check the validity of every email address you upload, and give you a result of either OK, Bad or Unknown. We offer both pay as you go, or monthly subscription payment options. You can cleanse up to 1k records for a one off payment of just £8, or you could pay £30 per month to cleanse 75k p/m. There is a package to suit everyone – no matter how big or small your list is. Once you have uploaded your data, depending on your list size, it should take no more than 24 hours to get your results. Usually it is much quicker than this. Sign up today and stop sending to out of date email addresses!